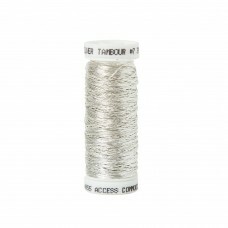 Gorgeous threads and trims from Access Commodities to embellish your embroidery and Crazy Patchwork. 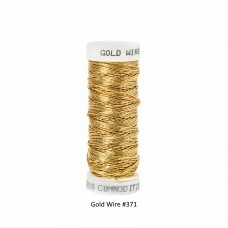 These faux metal threads are excellent for working 17th century metal stitches such as plaited braid..
Metallic Soft Twist Cord 1/8"
Beautiful metallic soft twist cord 1/8” is a companion to the 3/16" size for needlework finishing an..
Metallic Soft Twist Cord 3/16"
Beautiful metallic soft twist cord 3/16” is a companion to the 1/8" size for needlework finishing an.. 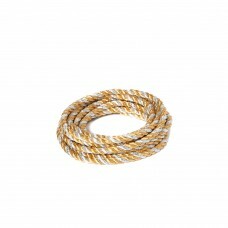 These beautiful cords add a wonderful accent to your work. 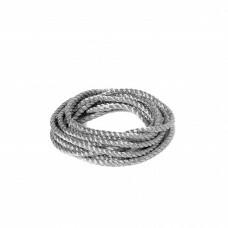 They are very popular and used extensivel.. 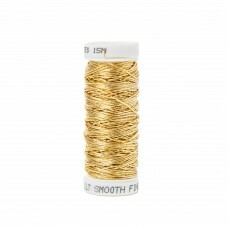 This Smooth Passing number #4 thread is made from real metal tightly wrapped around a silk core. The.. 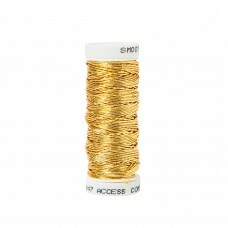 This Smooth Passing number #5 thread is made from real metal tightly wrapped around a silk core. The.. 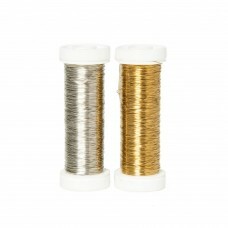 This faux metal thread is lovely and fine, non-tarnish and can be used with a needle. 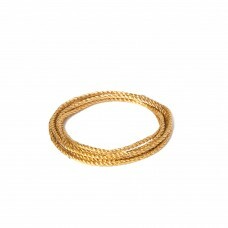 It is priced i..